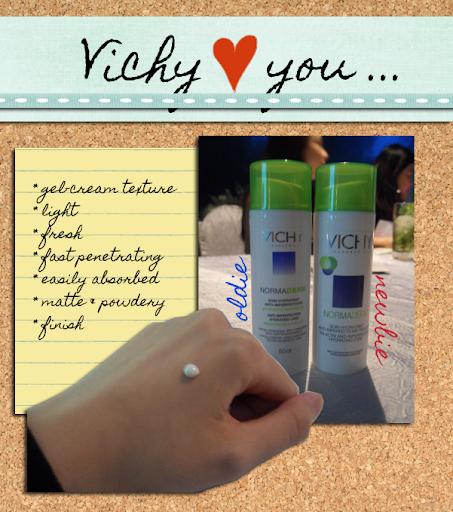 Last Thursday, I attended Vichy's Normaderm Workshop at House @ Dempsey. It was my first time at Dempsey and I was excited because my cousin's forever tweeting that he's hanging out with his friends there. The whole place, though remote, is like a small classy food village. And I spotted Chen Hanwei, a local Chinese actor, getting into his car (Cheap thrill, I know.). 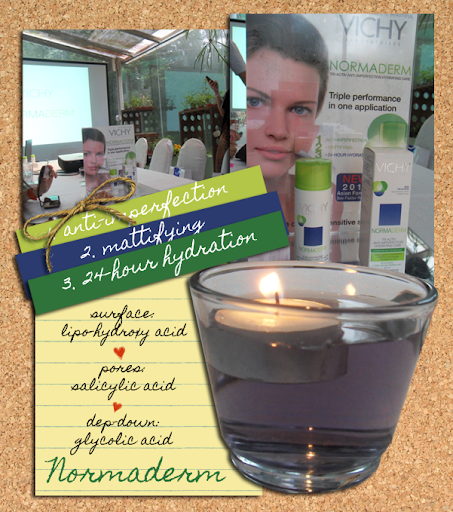 The workshop was an introduction to their new and improved Normaderm Tri-Activ Imperfection Care. Hailed as the 'most complete popular medical care', Normaderm promises to get rid of imperfections, mattify and provide 24-hour hydration. 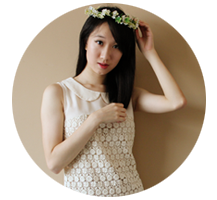 Mattified: Excess sebum can be oxidised by UV rays, resulting in irritation, redness and more imperfections. 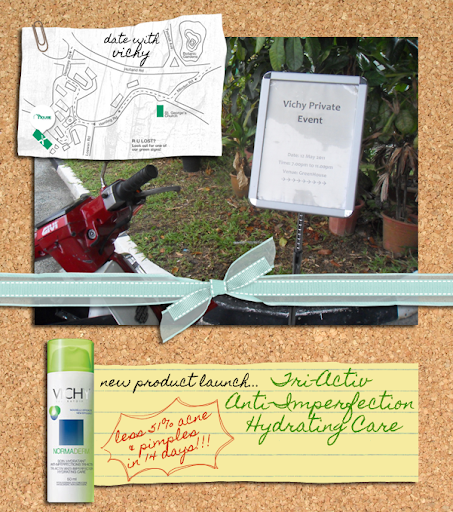 Hydrated: Dehydrated skin results in an accumulation of dead skin cells and this causes more imperfections. Lipo-Hydroxy Acid (0.14%):Exfoliates the surface, refines and soothes the skin and evens out skin texture. Salicylic Acid (0.5%): Unclogs pores by loosening the cells accumulated in the sebum duct and provides anti-inflammatory action. Glycolic Acid (0.175%): Works deep-down by penetrating into the skin for exfoliation, stimulates cellular renewal and provides anti-bactierial action. The product also contains a new generation of gelling agents. There is a 2% increase in glycerin to provide round-the-clock hydration. Silica is also present to absorb sebum. After the presentation, we had a buffet of treats! I had my first taste of lamb and tuna and... They were interesting! Haha. I actually like the tuna, just not the canned, mashed-up one. And oh! 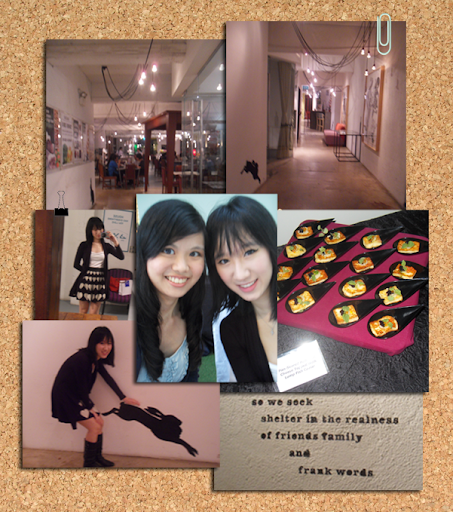 Meet Felicia, the girl who's in the center photo with me! She's my junior college classmate and close bud! And here's a snapshot of my outfit!